You and your family deserve the most seamless, stress-free moving experience possible, so don’t settle for just any residential moving company in Portland to complete your local, long distance, or international relocation. 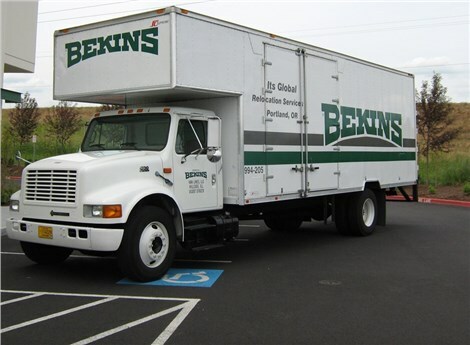 ITS Global Relocation Services, agent for Bekins Van Lines, has been providing unbeatable household moving services since 1926. Our highly-trained professionals have the resources they need to meet any challenge. When you decide to move with ITS Global Relocation Services, your household move will benefit from the expertise of a family-owned and operated company with 93 years of experience in the industry. Our Portland residential movers can provide you with specialty services that many other companies in the area simply can’t, such as piano moving, auto shipping, climate-controlled storage, and much more. Our team is continuously trained in the moving and storage of household goods and has access to advanced equipment such as lift gates and forklifts to ensure the safety of your belongings. Read on to learn more about our custom residential moving services! Local Portland Movers: ITS Global has been moving Portland families for 93 years, and can complete fast, seamless moves to your nearby destination. Long Distance Movers: As a Bekins agent, our team has the national resources and support necessary to simplify your long distance move. Apartment Movers: Our crews can navigate narrow hallways and stairways with ease, getting your items quickly in or out. Household Movers: ITS Global can move households of all sizes to any national or worldwide destination. 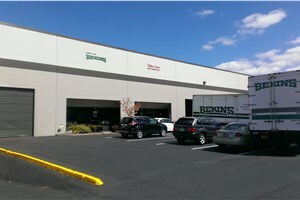 Interstate Movers: Our agency with Bekins eases even long-distance interstate relocations. Senior Moving: We can help you or a loved one make a seamless transition to an apartment, condo, or assisted living facility. Full Service Moving in Portland: Since 1926, Irvington Transfer & Storage (ITS) Global Relocation Services has been a leading provider of household moving services in Portland and its surrounding areas. Don’t delay any longer – give our experts a call today with your moving requirements. Call ITS Global Relocation Services to speak with a friendly moving specialist or fill out our online quote form to receive a free estimate!